This blog is really an update on what’s been happening with my capstone project, what I have been doing at the Kingsport Archives, and what I’ve been doing extracurricularly! My capstone project is complete, so I am going to post a few more screen shots below. It ended up being 62 pages. Today, when I was all alone in the archives during Brianne’s day off, I finished processing the Muriel C. Spoden Collection. I, I, I …I think I need to say that, again. Today, I finished processing the Spoden Collection. I cleaned up all of my supplies, stood back from the table with my hands on my hips, stared at all of those “grey” boxes and…that was it. I turned out the lights, locked the door, and went upstairs to turn in the key. Everyone was busy so I didn’t even tell anyone. Then I went to the gym and did the stairmaster for over an hour while I read an article about the genealogy of genealogy. There you go. Over a year of processing one collection in my spare time. On to the box and folder numbering and finding aid!! 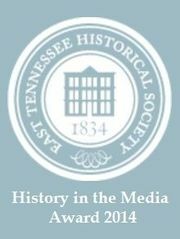 Since I last blogged, I got to attend the Society of Tennessee Archivists conference in Knoxville. I really enjoyed it, even though the theme was “Political Papers.” My favorite presentation was from the special collections librarian at UT Chattanooga who shared photos from the John Rous Collection. Mr. Rous was a White House AP photographer for many years. Awesome! I once again sat on the student panel and we shared our experiences with processing as grad students, interns, and volunteers. When asked what my most favorite thing I’d ever processed was, I told them about the love letters between Hugh C. and Gwennie in the Brown Family Papers. Apparently, I really got into it because the room was absolutely silent for a moment when I finished and the next student refused to go after me! Sorry. Love in the archives! I get a little carried away! 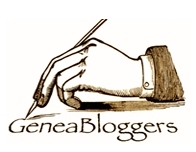 Also, I was recently featured as a guest blogger on ETSU’s Liberal Studies Writing Center blog. You can read that here. 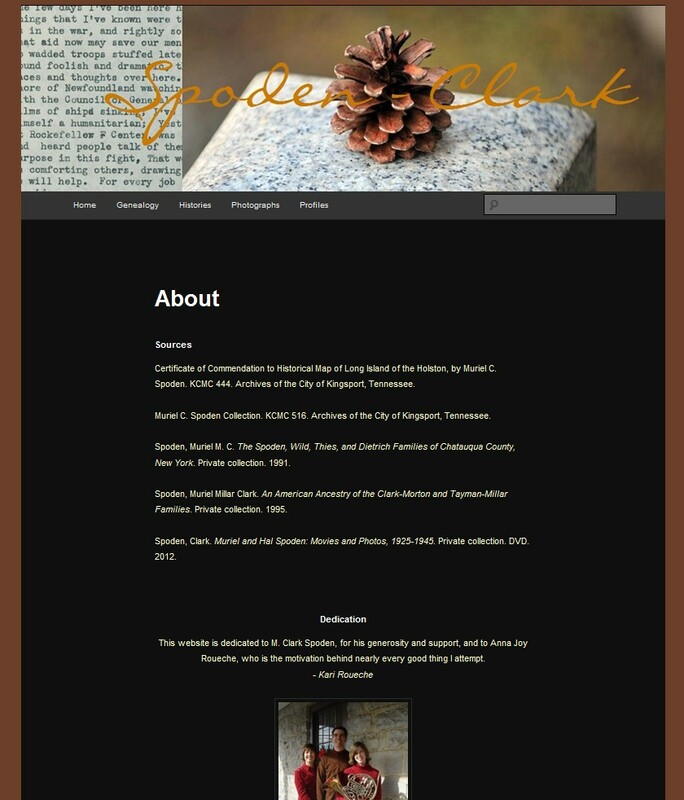 The About page has the sources used for the site and also my dedication. 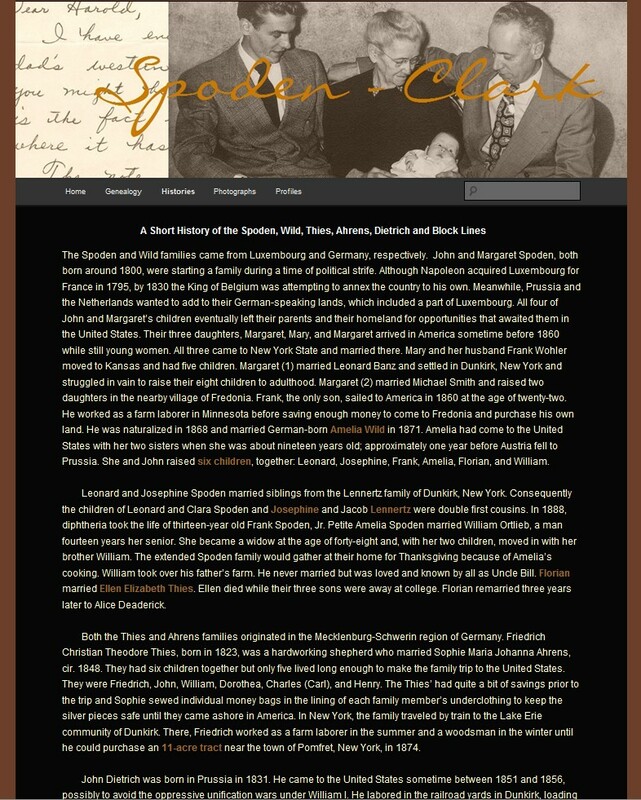 This is one of the two history narratives on the site. Words that are in brown are hyperlinks to documents and photos. 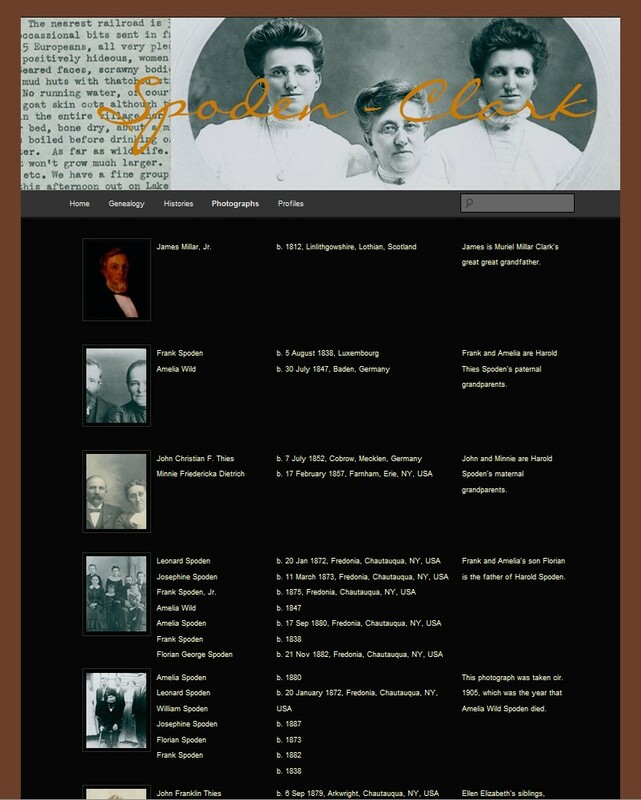 The Photographs page is an index of the portraits on the site and links relationships back to the #1 spot on each pedigree chart. Today I came up with my title for my research defense paper. I am stoked. It’s going to be “Tell me who I am: Finding Personal Identity and Connections to History through Genealogical Research.” A serious page-turner. This entry was posted in Capstone, Kingsport and tagged blog, Capstone, processing. Bookmark the permalink. I got teary when I read your dedication. This work is just beautiful. Thank you for sharing your love of genealogy with me! It is rubbing off. I LOVE the title of your research paper!